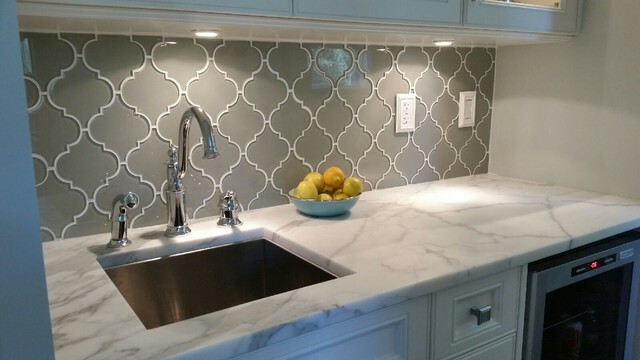 What is Arabesque Backsplash Tile? Arabesque Backsplash Tile is an artistic tile with elongated or chubby leaf motives. 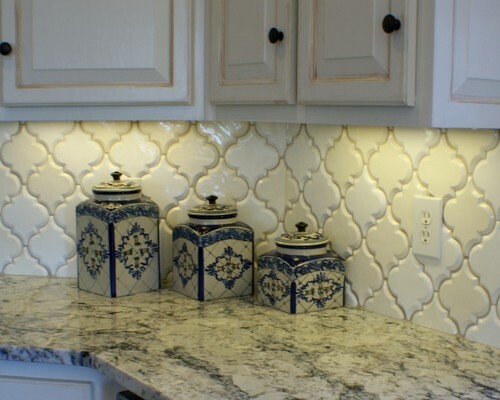 The vertical arabesque backsplash set up is the most common. It feels like a diagonal set up backsplash with finer taste. 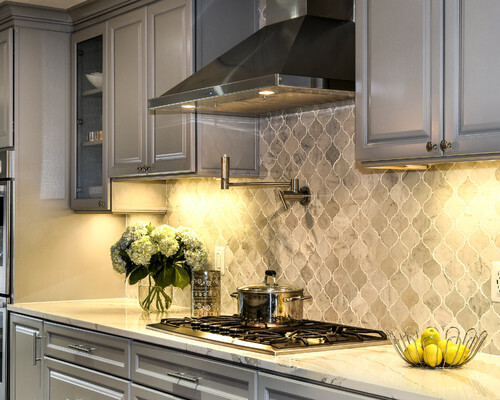 Designers would like to add Arabesque Backsplash Tile if the other kitchen design elements are mostly neat and plain. 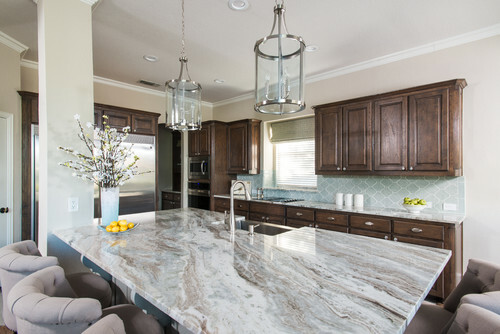 Kitchen remodeling and backsplash selection have unlimited options and one of the most elegant way to show your kitchen’s beauty is Arabesque Backsplash Tiles. Almost the same material as Brick Backsplash Tiles are used for the Arabesque Tiles. Trend goes for ceramic, marble and glass Arabesque Tiles. Some good pattern can be applied on stainless steel backsplash. What is Beveled Arabesque Tile? 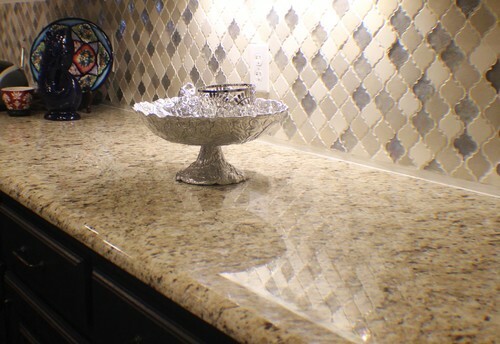 Bevelled edges are a common aesthetic nicety added to backsplash tiles especially arabesque tiles. These technique can also be seen in subway tiles, it is called Beveled Subway Tile : The angles are not sharp, the texture of the edges are soft and sophisticated. 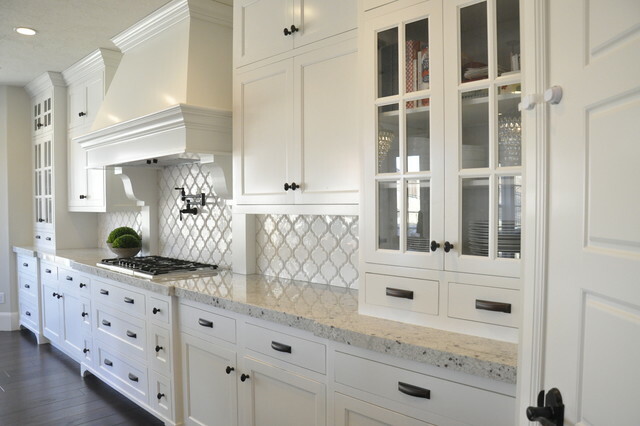 Beveled Arabesque tiles are allowing to the homeowners to keep the traditional and classical appeal of the kitchen remodeling while giving a different fine taste of backsplash selection. Arabesque Backsplash Tile Pictures are always the happy pictures. They always upgrade your steady mood to classic romance mood. I am hoping that you are ready that kind of mood change with the below various Arabesque Backsplash Tiles . Picture Credit:Granite Division Inc. Daltile Baroque ET Beige, Not only one color, the melange brings more elegant look to the backsplash. Design Credit to: Kim Bailey Interiors ,Photo Credit to: Michael Hunter Photography, The backsplash tile is from Walker Zanger. It is a custom pattern called the Tuileries Loire Crackle Collection.